If the third in this series of blog posts was about listening then this, the fourth, shifts towards dialogue and the essence of trust, on which dialogue thrives. The Brazilian educator and philosopher, Paulo Freire, said that ‘Without dialogue there is no communication, and without communication there can be no true education.’ Founding itself upon love, humility, and faith, dialogue becomes a horizontal relationship of which mutual trust between the dialoguers is a logical sequence. False love, false humility, and feeble faith in others cannot create trust. Trust is contingent on the evidence which one party provides the others of his true concrete intentions; it cannot exist if that party’s words do not coincide with their actions. Trust… is reliance on others’ competence and willingness to look after, rather than harm, things one cares about which are entrusted to their care. Tschannen-Moran considers trust to be a pressing issue for schools, for ‘They foster our ideals of respect, tolerance and democracy, as well as the vision of equity in our society’ (p.17). She warns that despite clear evidence of the dividends of a culture of trust, organisational dynamics often complicate things because the power differences imposed by hierarchical relationships add complexity to interpersonal reactions. My doctoral research (shared throughout this series on communal leadership and social justice in our schools) explores issues around the building of trust and realignment of the power imbalance that favours school. Bryk and Schneider’s (2002) work on trust conceptualises trust in schools as being formed around the specific roles that people play in this setting, with the growth of trust depending on the degree to which people have shared understandings of their role obligations. Warren and Mapp’s (2011) work around community organising in the US offers valuable insight into a collective process that starts with listening and conversation at the ground level; it does not start with a set agenda and it responds to local context: ‘If unilateral power involves power “over”, relational power emphasises power “with” others, or building the power to accomplish common aims’ (p.27). The flexibility in design of my research to date has allowed for concentrated listening and conversation at the ground level, with no set agenda, grounded in the reality and context of the case study school. 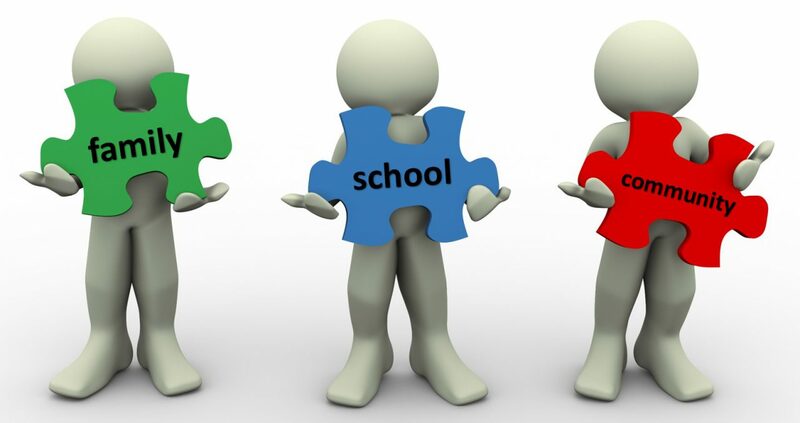 I seek to explore teacher and parent dialogue, as a necessary pre-cursor to the formulation of a model that recognises and supports the ideal that sees both parental involvement in school and parental engagement in their child’s learning, through effective home-school partnership working, a joint enterprise, underpinned by shared agency. According to Bryk and Schneider’s conceptualisation of trust, we typically use four key elements to discern the intentions of others in schools: respect, competence, integrity, and personal regard for others. Respect involves a basic regard for the dignity and worth of others. Competence is the ability to carry out the formal responsibilities of the role. Integrity is demonstrated by carrying through with actions that are consistent with stated beliefs. Personal regard involves demonstration of intentions and behaviours that go beyond the formal requirements of the role. All in all, a genuine sense of listening to what each person has to say marks the basis for meaningful social interaction. I have been involved in leading on the Achievement for All (AFA) project in an AFA pilot school and latterly as the head teacher of a school that adopted the AFA structured conversation model. We made a promise of two 30 minute conversations a year for the family of every student in school; student led. The structured conversation, introduced and advocated by Achievement for All, incorporates approaches of active listening, solution orientated psychology and problem solving within a clear four stage framework (explore, focus, plan, review), ‘as a means to understand the parents’ hopes and concerns for their child and to engage them in a collaborative relationship that would support their child’s greater progress and achievement’ (Day, 2013, p.36). The success of the mediation process – open dialogue approach, as a means to understand the parents’ hopes and concerns for their child and to engage is clearly evident through national evaluation evidence based findings. Parents reported feeling more included in the process of their children’s education, more empowered, and have sensed a change in the dynamic of their interactions with school staff. My research through focus group and semi-structured interviews in school, found that the structured conversation concept left teachers, following a “longer conversation” with parents, understanding the child better, with the model well received by parents, it being “more relaxed than a snatched ten minutes”. Beyond the child themselves, the structured conversation also opened up a view on the wider family context, “their history and their situations at home”. This, one teacher claimed, leaves parents feeling “more valued”. On the contrary, the traditional 10 minute time slot only really ever allows the teacher time to speak, to report on the child. No sooner have both parties relaxed into it then the ten minutes is up. The value of positive relationship building, through face-to-face communication has been wholeheartedly lauded by teachers. After all, “We are all in it together and going down the same path”. Trust must be built, through open and honest communication, with parents and teachers as “equal partners”. I reproduce here comments posted by one teacher and one parent in response to the first blog in this series, both talking on their experience of structured conversations. Following watching this video [Brené Brown TED Talk, The Power of Vulnerability], as a school, we began to use ‘Structured Conversations’ as a way to work alongside parents. We looked at the way we operated ‘parents evenings’ as a whole and changed it around. Instead of feeding back to a parent, we sat with them and discussed how we could work together as a team around the child. The role switched and teachers asked parents what they thought might work. At first, as a teacher, this felt unnatural and I certainly felt vulnerable, I can also openly admit to feeling a little defensive, expecting parents to criticise what I had been doing, as opposed to collaborating on the best way to work as a team for the child. This wasn’t what happened at all. Little things like sitting alongside the parent, offering them a drink, and structuring questions as a more open ended ‘chat’ seemed to relax the parents and allowed for a more natural, equal conversation. I fully believe that parents know their child the best so why aren’t we utilising this knowledge? The result of the conversations was that parents appeared to feel more a ‘part’ of their child’s education and therefore did more at home with their child such as reading and home projects etc. They also began to approach me more, asking what they could do to fill gaps in their child’s learning, therefore driving up that ever important data. Hi All, I as a parent within the school mentioned above, can second what Sam is saying about structured conversations. I sat in on a structured conversation with my son and his teacher, my son at the time was at the end of year 5, what came out of the conversation was that my son kept repeating ‘but I can’t do maths’. We as parents said ‘you can’t do maths yet! But if you work at anything you can always overcome what you want to’, or something along those lines, and at home tried to encourage him to do his maths homework and even had a go as well. A year later, although no structured conversations were held at the end of the year, my son’s report said that he had progressed in maths and had overcome the difficulties he had had with maths. I can only say I feel that if myself, my son and his teacher hadn’t had that structured conversation then I am sure my son would have kept on struggling with maths. Now he is going into secondary school knowing that actually he can work out most maths equations/questions and that he has a positive attitude to learning maths whereas before he just shut down and said he couldn’t do it. I would add to Jackie’s comment one of my golden memories of a structured conversation outcome. During the course of one conversation, Jackie’s son shared his aspiration to become a computer games designer. A couple of weeks later I vacated my office as teacher ushered in Jackie’s son plus two interested friends so that they could hold a Skype conversation arranged by the teacher with a friend he had attended university with. A friend who is now working as a computer games designer! Bandura (1997) says that ‘Teachers with high self-efficacy and schools with a strong sense of collective efficacy are more likely to extend support to parents and seek them out as partners in a student’s education’. I say that needs to be worked on and given equal status to everything else any one school pursues by way of professional development. We would do well to spend more time in our schools exploring the concepts of trust, vulnerability and power. Time to listen, reflect and change? Trust is not a medium but a human virtue, cultivated through speech, conversation, commitments, and action. Baier, A. C. (1994) Moral prejudices. Cambridge, MA: Harvard University Press. Bryk, A. S. and Schneider, B. (2002) Trust in Schools: A core resource for improvement. New York: Russell Sage Foundation. Day, S. (2013) “Terms of engagement” not “hard to reach parents”, Educational Psychology in Practice: theory, research and practice in educational psychology, 29 (1): 36-53. Freire, P. (1972) Pedagogy of the oppressed, Harmondsworth: Penguin. Solomon, R.C., and Flores, F. (2001) Building trust in business, politics, relationships, and life. New York, NY: Oxford University Press. Tschannen-Moran, M. (2014) Trust Matters: Leadership for Successful Schools, San Francisco, CA: Jossey-Bass. A few years back I undertook the task of researching the Maori term Whanaungatanga. I wrote a blog post about it. However Tahu wrote a really clear definition that spoke volumes about the importance of building relationships with the community. Simon like you I have a keen interest in building community. I have read your thinking around this subject and also believe that to forge relationships we must develop the space between that cannot be seen, Just like a fish cannot survive without water, we cannot survive without that unseen force or connections between us that makes us humans. My Samoan language has a term for this. We call it Va Fealofani and in Maori it is Hā mauri. Often in schools the dialogue with community is us passing information however we are becoming better at developing two way communication. Thank you, Sonya. Having visited your school (Newmarket) and Stonefields last year (this time last year, indeed) I can say that it was a real privilege and a life lesson to witness + feel the value attached to community, heritage + tradition. As I left Newmarket, Wendy said to me, “You are always welcome here. You are one of the Newmarket family now”. Enough said, as it takes us back to where I started with this particular post: Dewey saying, ‘Good schools are more akin to family than factoryThank you, Sonya. Having visited your school (Newmarket) and Stonefields last year (this time last year, indeed) I can say that it was a real privilege and a life lesson to witness + feel the value attached to community, heritage + tradition. As I left Newmarket, Wendy said to me, “You are always welcome here. You are one of the Newmarket family now”. Enough said, as it takes us back to where I started with this particular post: Dewey saying, ‘A good school is more akin to a family than a factory’. Would you please post a link to your blog on Whanaungatanga?